This site provides educational information on Integrated Pest Management (IPM) for commercial nursery/floral crop producers. 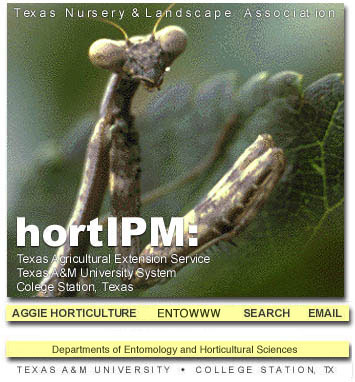 It is jointly sponsored by the Texas A&M University System and Texas Association of Nurserymen, and the Texas Pest Management Association. 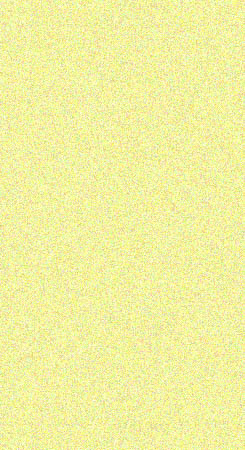 Use this section to identify pests by name, crop or photo and search for control recommendations. Original funding for this project was provided by the Texas Agricultural Extension Service and EPA's Foundation for IPM Education through a grant awarded to Drs. Don Wilkerson and Bart Drees. Additional modifications were supported by the Texas Department of Agriculture for the project, "Implementation of an IPM Pilot Program in Texas" (551-0-1790)" (Bastiaan M. Drees and John A. Jackman, Texas Agricultural Extension Service, 2000). Priscilla Files, Don Wilkerson and Dan Lineberger, Department of Horticultural Sciences created the original site. Dan Lineberger and Christine MacAlpine revised the page layouts and added new pest information and links. Neal Lee, Student Assistant, updated pesticide label information to provide more current information. Original photographs were provided by Dawn Gouge, Bart Drees and John Jackman.